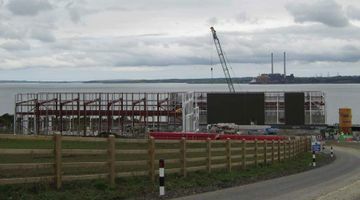 Norris Bros. Ltd is one of Ireland’s leading Structural Steel and Cladding businesses, providing building solutions to the Industrial, Commercial, Leisure and Agricultural sectors. Established in 1981, our family run business operates from a 35,000 sq. 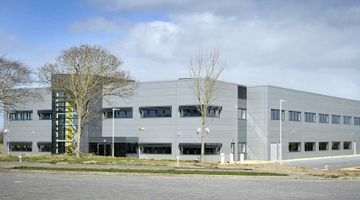 ft. purpose built fabrication facility at Englishtown, Stradbally, Co. Waterford with a capacity to fabricate in excess of 150 tonnes of steel per week. Our company has a reputation for technical expertise, high quality workmanship and customer service and this has led to a significant volume of repeat orders from a wide range of clients throughout Ireland. We employ a highly qualified and experienced team of draughtsmen, fabricator welders and erectors. Our company is fully CE Certified to Execution Class 4 in compliance with I.S. EN 1090-1:2009+A1:2011, fully insured, C2 and Vat registered. If you would like to learn more about the full variety of products and services available from the crew at Norris Bros. Ltd, please do not hesitate to get in contact with one of our members of staff, who will be more than happy to assist you with any queries you may have regarding our products. 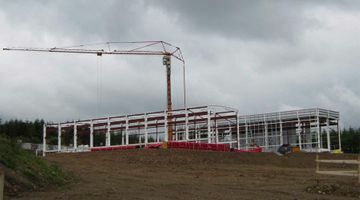 Norris Bros. Ltd, a leading Structural Steel and Cladding business, providing building solutions to the Industrial, Commercial, Leisure and Agricultural sectors.